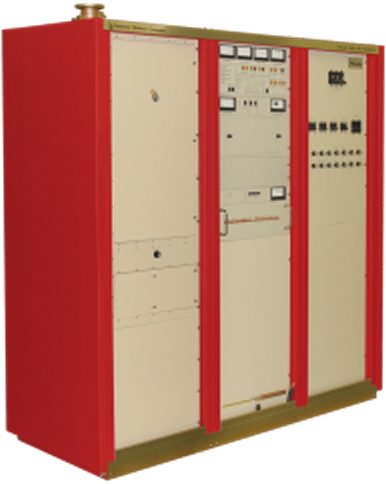 CEC is a world leading manufacturer of FM Analog and Digital Broadcast Systems offering a full spectrum of FM Transmission Systems unsurpassed in performance and design. CEC provides a high level of long-term support to customers, frequently servicing CEC transmitters purchased more than 20 years ago. A full line of turn-key High Power FM Transmission Systems. Affordable and easy to use HD Radio options. Power levels up to 70kW. Analog and digital exciter options. CEC’s 816R Series of transmitters has been a dependable “workhorse” for FM stations for many years. Broadcasters know that CEC produces the industries most reliable transmitters, as we still support our transmitters that have been in the field for more than 35 years. CEC provides a full line of HD products from program input to the antenna output. Tube amplifier based FM transmitters available. Modular components include Digital FM exciter, HD Importer, HD Exporter, and HD Transmitter. The transmitter is ready to operate when delivered to your site, eliminating "surprise" installation expenses. Air cooled and liquid cooled versions available. Because of the high number of 816 transmitters in the field, many contract engineers have experience with the transmitters and can provide field support and service.